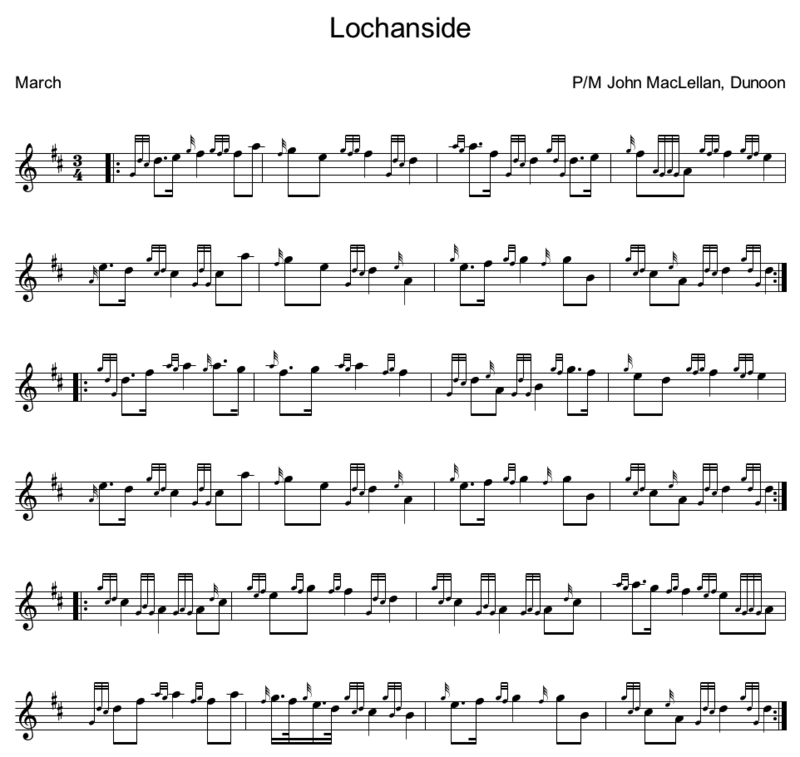 Lochanside is a popular 3/4 march among pipers and one of the best ever written. The tune was written by JOHN MACLELLAN. HERE is a link to the tune.